Photo: Courtesy of Enroll Indy. In some cities, applying to school has never been more complicated. But in Indianapolis, a new nonprofit called Enroll Indy is streamlining the application process for grades K-12 to make it easier for parents, teachers and school administrators. 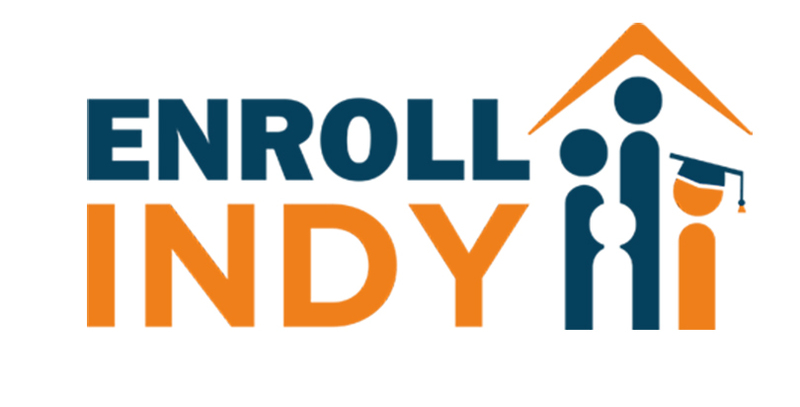 Enroll Indy will launch a common enrollment system that will let families fill out a single form to apply to public schools around the city — traditional district schools, magnet schools and charter schools — rather than applying to individual schools with different deadlines. Parents can list up to 10 schools, ranked in order of preference, and a computer algorithm will match each student with one school, taking into account factors including geography and whether a sibling is already enrolled. The idea for a unified enrollment system in the city, said Enroll Indy founder and executive director Caitlin Hannon, actually began with teachers. As executive director of Teach Plus Indianapolis in 2013, she heard concerned educators talk about a revolving door: Without a solid grasp on the number of students who would eventually fill classrooms in individual schools, the district often had to shift teachers between buildings to meet anticipated demand. The city’s booming charter school sector made for an even bigger challenge. “This group of teachers said, ‘We need to do something better, and it sounds like a unified enrollment system would make this easier to predict staffing and planning numbers for school districts,’ ” Hannon said. At the same time, she said, families were overwhelmed by dozens of applications on dozens of different timelines. Even affluent parents struggled to navigate the options, and the challenge was far greater for people who relied on public transportation or had limited English skills. Through unified enrollment, Hannon said, the new system aims to enhance transparency and equity for all families. As Hannon and other Indianapolis education leaders planned the new system, they looked at other cities for guidance. Denver and New Orleans, for example, launched the nation’s first common enrollment systems that include both district and charter schools — and those systems have made improvements in consistently applying enrollment rules fairly, said Betheny Gross, research director at the Center on Reinventing Public Education at the University of Washington Bothell. Families were no longer able to schmooze their way into a better placement for their child, for example. Still, Gross said, unified enrollment systems do have shortcomings. In Denver, where participation is voluntary, researchers found that 20 percent of families did not submit applications, and those who opted out weren’t necessarily living in neighborhoods with good schools. In fact, she said, most attended some of the lowest-rated schools in the city. But Hannon hopes that arming families with information will help. The city’s public school district is already on board, and Hannon is working to bring each of the city’s charter schools on individually. And though the unified enrollment system isn’t scheduled to go live until next November for the 2018–19 school year, Enroll Indy has already started informing parents about school options in their communities. In November, Enroll Indy launched a “school finder” on its website, allowing families to browse schools across Indianapolis, based on a range of characteristics like transportation options, academic programs and sports.